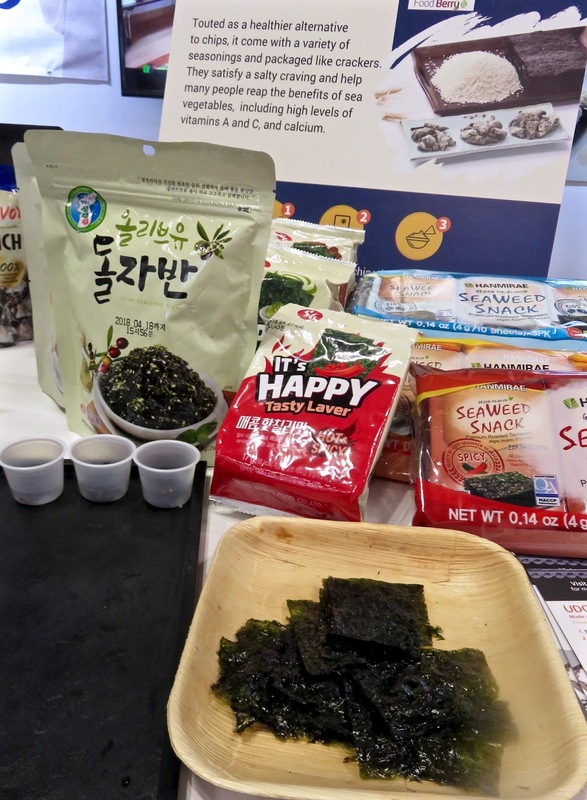 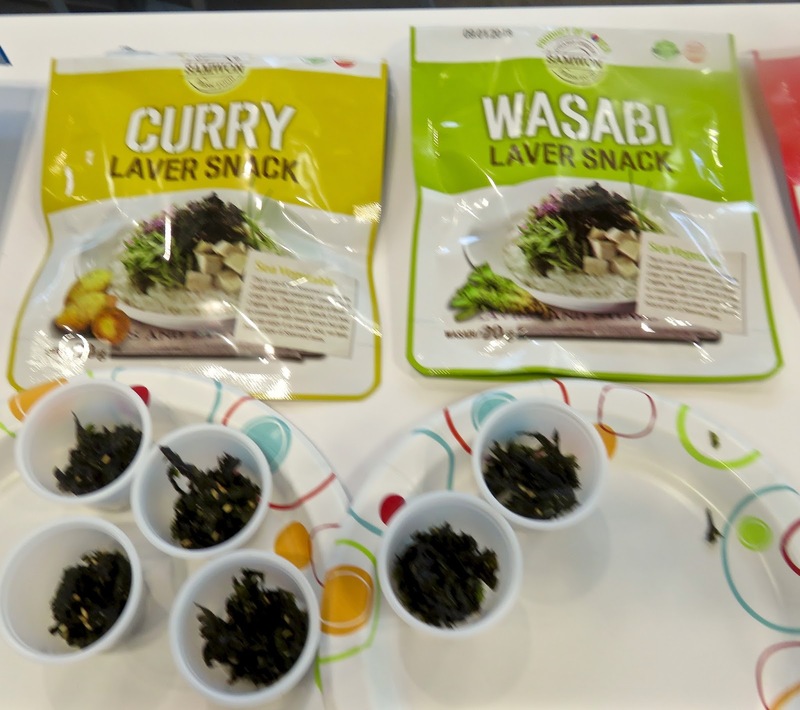 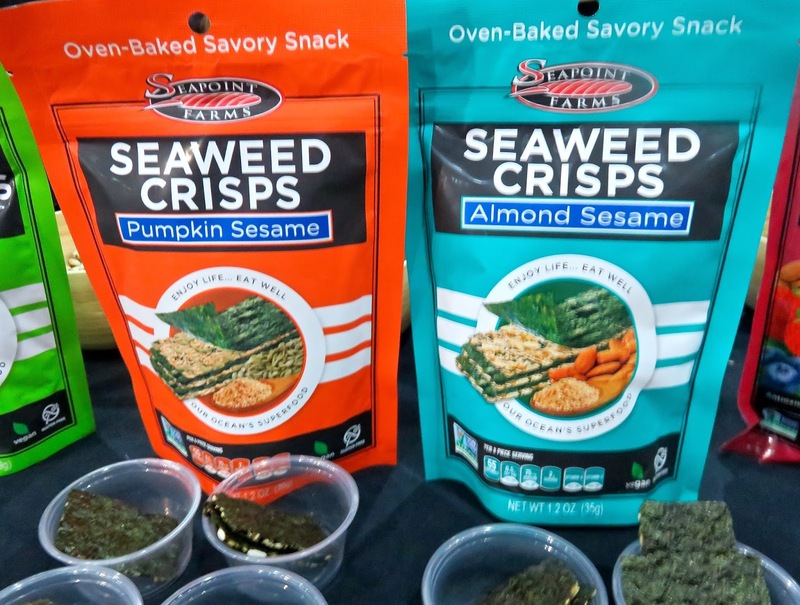 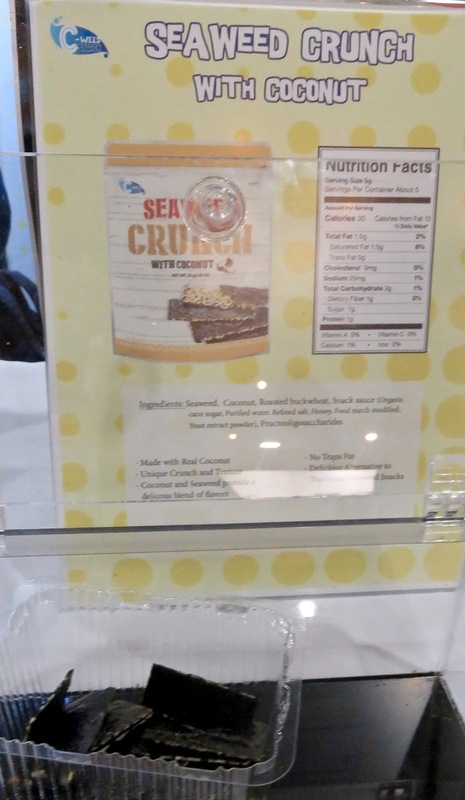 Buttery-ish crispy, salty and satisfying-seaweed (nori) crisps/chips are a popular snack -naturally low in calories -and increasingly spiced up or sprinkled with almonds. The only downside-def can't eat just 'one' serving-packaged like crackers... but practically more melt in your mouth then chewy and thus easy to devour (and not share). 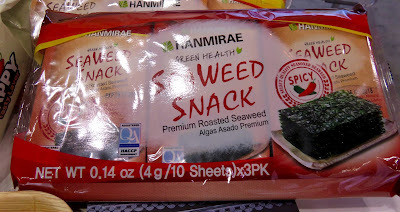 hot-spices married with salty seaweed-imo -better than the potato or whole grain based competition-and healthier. 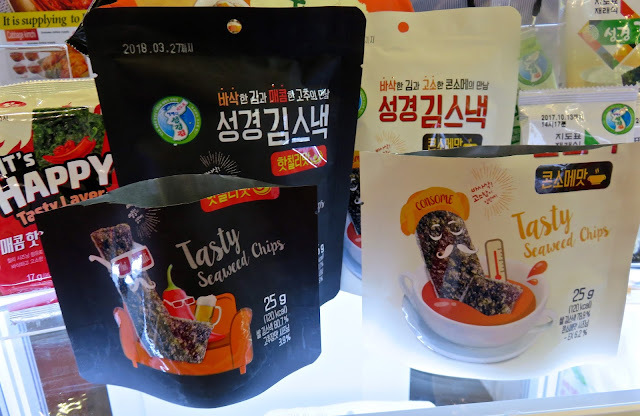 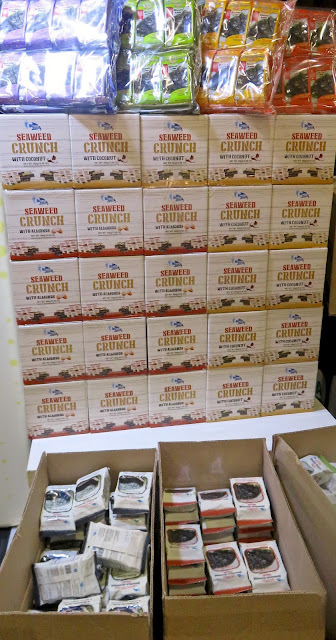 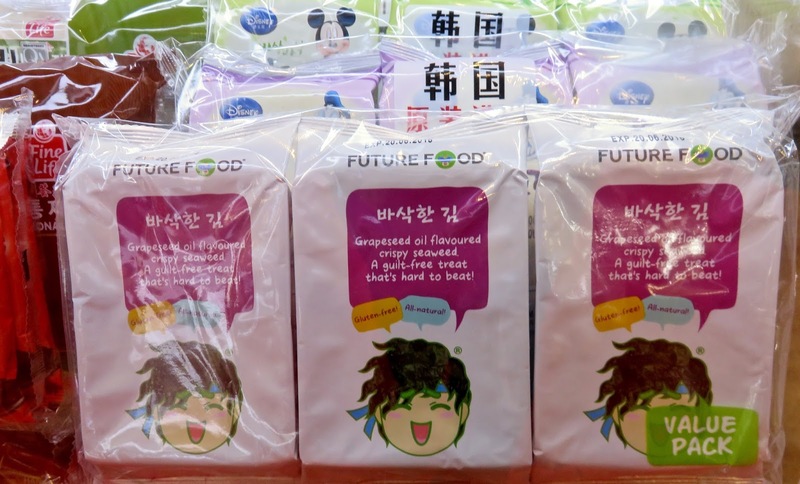 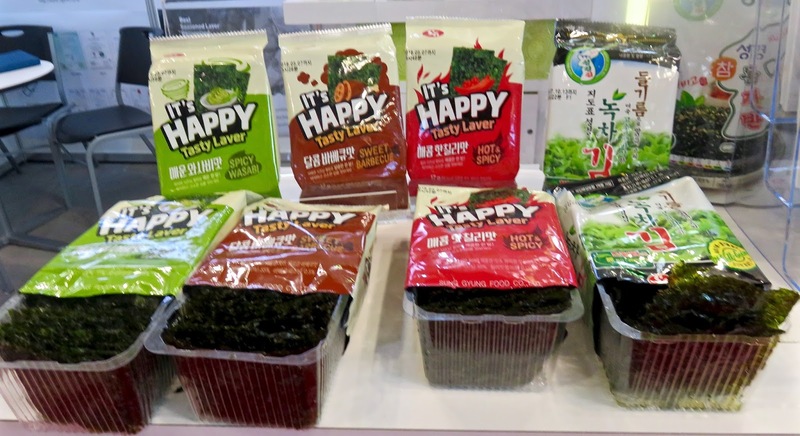 South Korea's C-Weed brand flavors it up with hints of sweet coconut-some of this company's products are sold on Amazon in bulk-trust us-want that many packets.